UKQRM : Interference to radio caused by non-EMC compliant devices. This website has been created by Radio Amateurs, Shortwave radio listeners, Citizens' Band radio users, EMC professionals, and like-minded people, to pool our knowledge of man-made interference (QRM) so we can help you to understand and identify the sources of radio interference, and how you can go about reducing or removing the offending device, or devices. Interference is a highly technical issue, with brain-bending terms, which we will try to explain in an easy to understand manner. This website is now https for your protection against oppressive regimes, government snooping, and censorship. If you are suffering from a strange-sounding interference to your FM radio, DAB radio, Taxi radio, Business radio (inc. shopping-centre radio), Airband VHF, Marine VHF, Military radio, Amateur radio, Citizens' Band radio, or Shortwave radio, we may be able to help. Naturally occurring radio interference (static) from the sun, aurora, lightning storms, and other atmospheric disturbances. Man-made interference, mostly generated by electrical systems and electronic gadgets. UKQRM is concerned with man-made radio interference, or to give it another name: pollution. Unlike tainted food, or unpleasant odours on the wind, humans cannot perceive radio spectrum pollution, but it is there, destroying a natural resource that cannot be replaced. The menu on the left provides navigation to the various pages where we describe the lack of action from the regulators, the interference sources, and how you can mitigate against them. Legislation details the applicable directives and laws that are being ignored. Lighting details the issues with Compact Fluorescent Lamps (CFLs), strip-light electronic ballasts, and LED lighting. SMPS details problems associated with some Switched-Mode Power-Supplies. Plasma TV details the issues with wide-band interference from ageing plasma televisions. PLT links to our sister site Ban PLT and details the problems these horrid junk devices create. VDSL details the interence caused by VDSL/VDSL2/G.Fast Fibre-to-the-Cabinet from [BT] Openreach. Miscellaneous details other sources of radio frequency interference. 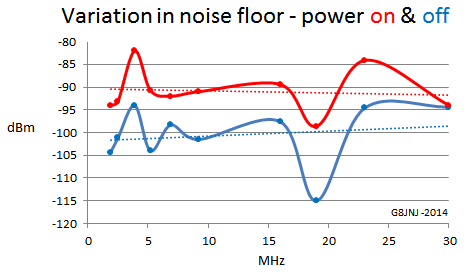 Finding QRM details how you can track down sources of radio frequency interference. Glossary contains explanations for some of the technical content of the site. If you find the information on this website useful, please consider donating to its running costs. It requires approx. £50 per annum to host an SSL site on a Virtual Private Server. All donors will be thanked via Twitter. Working together to spread the knowledge of harmful radio-spectrum pollution. We would encourage all users of the radio spectrum who experience interference to run through our Finding QRM guide, and if the interference is found to be external to your property, contact Ofcom and report the issue. Please do not be put off by their statement on charging you should the interference be found to be under your control. As long as you have powered off your home (and any adjacent properties supplied via a different meter) and can demonstrate the interference is not coming from anything of yours, you will not be liable. If you are a licensed Radio Amateur, enter your license number and callsign. If you are a member of the public, simply put "n/a" in those fields. Remember to obtain your case number from them! We would also encourage you to write to your MP to highlight the problem of junk electronics and how it has affected your life. 02/01/2019 Site news: we have removed the "contact us" form and replaced it with a simple link for mail clients. Our apologies if this causes issues. Spammers were using our form to annoy us and we did not want to implement another system that may have tracked users. Likewise, we have removed the translate and like buttons to reduce tracking by 3rd party websites. 04/08/2017 UKQRM has joined the European Radio Amateurs' Organisation to help spread the knowledge of harmful radio-spectrum pollution. 18/11/2016 German Amateur Radio group, the DARC reports the Amateur Radio Round Table (RTA) has asked the German Federal President not to sign the Act implementing EMC Directive 2014/30/EU. They cite deficiencies in the Act and loss of the right to interference free radio reception. "1. Everyone has the right to freedom of expression. This right shall include freedom to hold opinions and to receive and impart information and ideas without interference by public authority and regardless of frontiers." The DARC says the Federal President could refuse his signature as part of his audit regarding the conformity of the Act with the German Basic Law. This would prevent it being enacted. This is a repeat of BT Vision supplying the Comtrend PG902 with its Vision product. A disaster for the radio spectrum that gave birth to UKQRM. Here we go again! 19/04/2016 Statutory Instrument 2016 No. 426 The Wireless Telegraphy (Control of Interference from Apparatus) Regulations 2016 is in effect! We urge all radio users to test this legislation by complaining to Ofcom about interference to your radios. 24/03/2016 Ofcom announces their Decision to make the Wireless Telegraphy (Control of Interference from Apparatus) Regulations 2016. 18/07/2015 Radio Amateur, Brian G4LUL, shares his experiences of trying to track down sources of interference and how cheap non-compliant electronics can ruin people's enjoyment of radio. Click here for older news stories. On the 5th January 2015, Ofcom released a consultation proposing to make new regulations under Section 54 of the Wireless Telegraphy Act (2006) which would give them unyielding authority to take criminal action against persons causing radio interference with their electronics. The substance of Ofcom’s argument for making the new regulations is the discrepancy between the requirements of the EU Directive which have far-reaching powers to protect radio from products when first placed on the market or put into service (i.e. at the precise moment this happens, not as an ongoing basis) and the fact that once equipment was in service, Ofcom claim they had no powers to take action against owners of interference generating electronics. In essence, the new regulations are aimed at any device or installation which results in a breach of the essential requirements once installed and used in accordance with manufacturers' instructions. Naturally the most significance for these measures will be the potential for protection for amateur radio and SWL from devices like PLT, LED lighting and Plasma TV; which are by far the three most problematic technologies. Somewhat two-faced considering they are responsible for starting most of this in 2008 with BT Vision pushing PLT! "We point to power line transceivers as a potentially difficult area for standards..."
"The explanation of the need for better regulation is good and the intent is supported; however we question whether the proposed regulations give sufficient protection to safety of life and other services. Therefore we do not agree with the Proposed Regulations." On the 24th March 2016, Ofcom announced their Decision to make the Wireless Telegraphy (Control of Interference from Apparatus) Regulations 2016. The Statutory Instrument 2016 No. 426 The Wireless Telegraphy (Control of Interference from Apparatus) Regulations 2016 came into effect on the 18th April 2016 (see news above). We are indebted to Radio Amateur, Martin G8JNJ, for sending in a chart demonstrating the difference in radio interference levels when the electronic "junk" around his area is powered up and when the area has lost mains-power. As you can see, it is somewhat quieter when all of the non-EMC-compliant devices are no longer generating radio interference. during and after a power outage, affecting a property radius of approximately 100 metres. Faulty thermostats (radiator motor/pumps and immersion heaters). Domestic appliances (washing machines, dishwashers, fridges, freezers). Leisure appliances (TVs, satellite receiver, DTT receiver). Other appliances (laptops, PCs, routers, network switches, printers). Railway 25/50kV transmission lines and National Grid 11/33kV transmission lines. Electric fences, gates and other motor-driven devices. Mobile / Temporary lighting (temporary traffic lights). Data cables in close parallel proximity to power cables. Credit card payment machines, electronic cash registers. Vehicles with faulty suppression systems/electronics. Follow our Finding QRM guide to help track down the sources of REIN or SHINE that may be lurking in your home. The new electromagnetic Compatibility Directive has now been published in the OJEU (Official Journal of the European Union, 29/3/2014). This replaces the previous Directive 2004/108/EC which repealed 89/336/EEC. The new Directive addresses some of its predecessor's ambiguities and makes clear that its jurisdiction relates to products when they are first placed on the market or put into service. This includes second-hand equipment if it has not previously been placed on the market in the EU. The Directive has been watered down as to Member States' mandatory requirement to protect radiocommunications. We are now poised on the precipice of a slippery slope with regard to European Regulation of the radio spectrum. The new Directive can be downloaded from: here. A new Blue Guide has also been produced to explain the implementation of the new Directive(s). UKQRM was formed in 2008 by shortwave radio listener Mike Trodd. He started to experience a strange sound on his radios and wondered why he could no longer receive any broadcasts. He tracked the problem down to his neighbour's use of the Comtrend PG902 Power Line Technology, as deployed by BT Vision. PLT had arrived out of no-where and was suddenly popping up all over the UK. It has the capacity to wipe out HF radio communications from 500 to 1000 metres from the property using only one set of paired devices. Flood a small market-town with as few as 20 pairs of PLT and you suddenly find all HF communications is impossible. Mike started the Yahoo UKQRM group to pool knowledge and resources in what has turned out to be a long and un-ending fight against the rise of non-EMC-compliant electronics. If you have read our legislation page, you will have seen that things are in a mess, and as with the banks and the food supply, those charged with enforcing the law are asleep on the job, and may be complicit in encouraging manufacturers to break the law. Here at UKQRM, we would like to encourage manufacturers to go one stage further than simply including a Declaration of Conformity; which as we have seen with the Power Line Technology debacle, is no longer worth the paper it is printed on! Graphical test results of the applicable conducted and radiated emissions tests, as shown on the METECC LED Lamp Investigation page. The name and address of the accredited test-house that carried out the EMC testing. The dates of the tests and how many samples were taken from the production line(s). A list of the applicable tests passed, e.g. EN55013, EN55015, EN55022. The name and address of the auditor(s) for ISO9001 registered companies. To place all of the above information in the public domain via prominent links on your website(s). We believe this approach will go some way to restoring confidence in honest manufacturers and help them stand out from those who are only interested in loading the market with junk electronics. We would like to encourage purchasers and consumer groups to push for this Code of Practice to help return the market place to a legal state, instead of the wild-west it has become. Is your business refusing to sell PLT, Plasma televisions, and non-EMC-compliant LED lighting? Let us know and we will feature you as an ethical supplier. We would appreciate your support before the radio spectrum is destroyed forever. 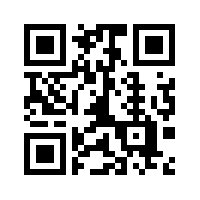 If you have a personal website, a shop/business website, a radio-club website, etc., and would like to carry our logo, please copy the code below. Let us know that you support us and we will add your logo and link to the website. Manufacturers and retailers who take the time and trouble to correctly test their products for EMC compliance, and prove that with traceable data, could appear here as a UKQRM approved product/supplier. If you would like to use a logo with a transparent background, change: src="https://www.ukqrm.org.uk/logos/UKQRM-text-logo-trans.png"